The Army Institute of Management Kolkata Alumni Association (AIMKAA) – the alumni association of AIMK– is one of the top supporting bodies of the institute. The association possesses a large pool of talented individuals, who have made a name for themselves in diverse spheres. Writers, intellectuals, business entrepreneurs, social leaders – people from practically every walk of life can be found in the AIMKAA. With a high degree of knowledge and professional expertise at their disposal, the AIMK alumni members have been able to excel on the global platform as well, in infrastructure, IT, infrastructure, banking, FMCG and many other sectors. Over 1400 of them have gone on to become national/continental business heads as well. The alumni association serves as the supporting wing of the institute, in all the endeavours of the latter. Be it the pursuit of the general AIMK mission and visions, or adding value to its goals and objectives – the institute always receives support from the AIMKAA. 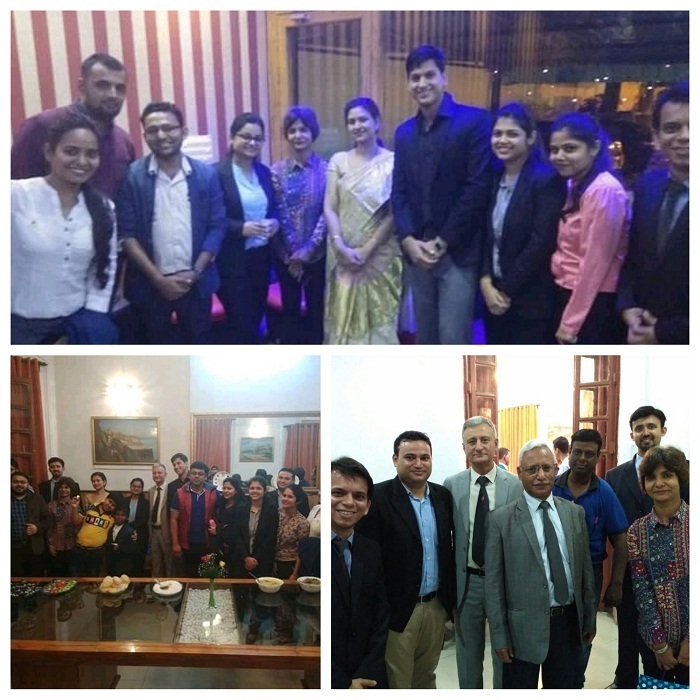 ‘Nostalgia’ – The alumni meet of the AIMKAA – is organized as a joint collaboration of the staff members of AIMK, and the students of the institute. During the meet, the convocation ceremony of AIMK is also held, amidst much fanfare. Many other interactive meeting sessions are also conducted by the alumni association, in different parts of the world. 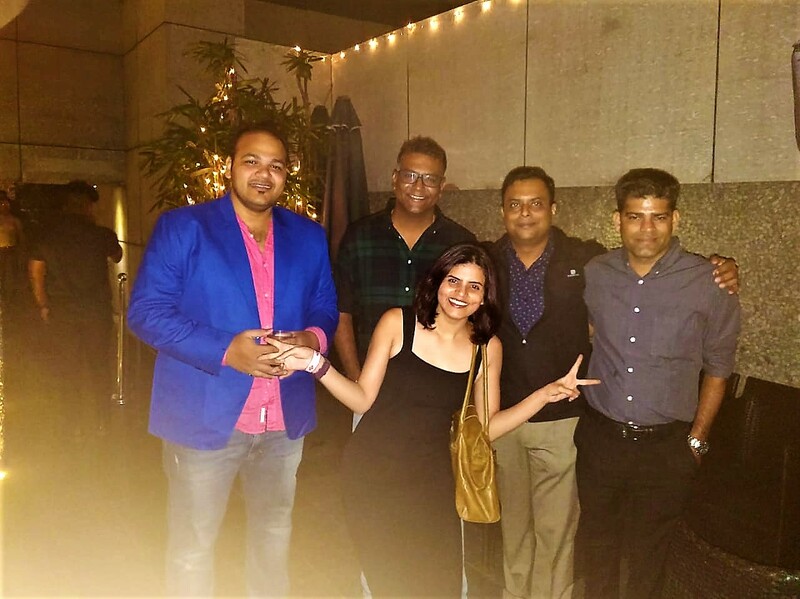 Alumni meet Kolkata chapter, a cocktail dinner party was organised on 12th Jan, 2019 at Ordnance Mess by Army Institute of Management. The main objective of the meet was to get connected with the alumni and make the bond stronger with the institute. AIMK has a very strong network of 2000+ alumnus and every year this bond is celebrated with a get-together under the banner of “Nostalgia”. 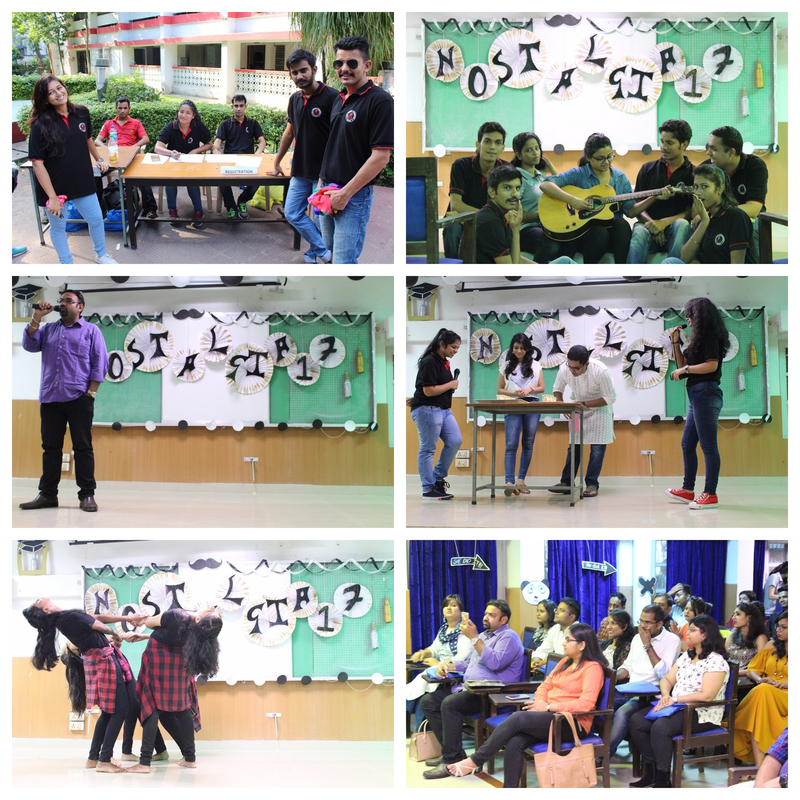 This year Nostalgia was celebrated on 15th Sept, 2018 and the theme was “Love and Friendship”.This event was a great success as the Alumnus from across the world could came together and participated with full enthusiasm. The whole event was beautifully planned, which started with an interaction session between alumni and the current batches; followed by the cultural program and DJ party.The people on the dance floor were stunned by the flash mob. The event came to an end with gala dinner. All the alumni had a great time and appreciated the efforts of the current batches and they assured to return next year. “No distance of place or lapse of time can lessen the friendship of those who are thoroughly persuaded of each other worth” Robert Southey. An Alumni meet of Army Institute of Management Kolkata was held on 16th June, 2018 in Delhi at 38 Barracks. 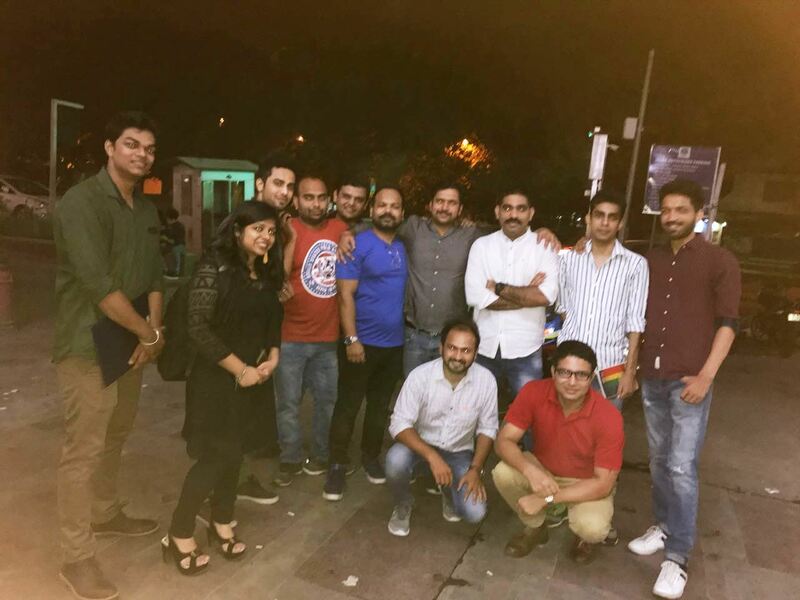 It was an informal gettogether that was organised to get connected with the alumni and make the bond stronger with the institute. 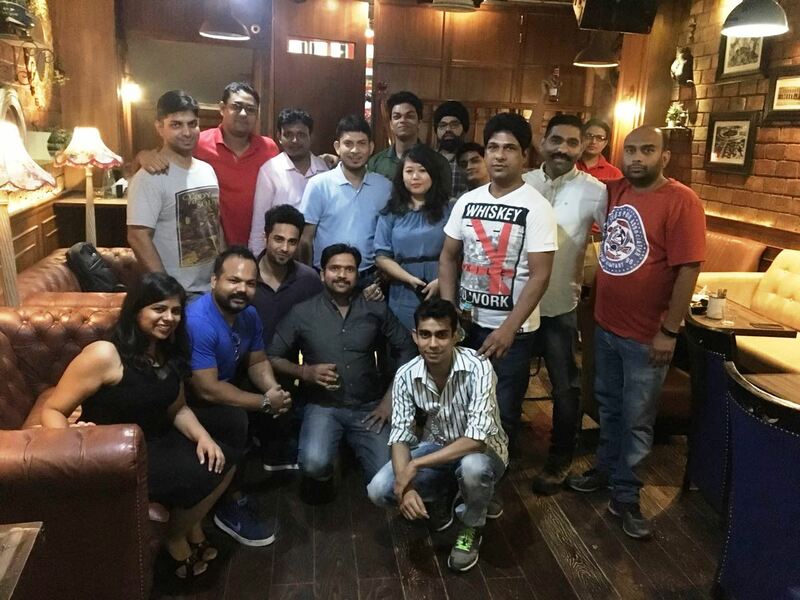 All the alumni of Delhi NCR region and all the batches from MBA and MCA were called for the meet. The meet started with the warm welcome of the alumni by both the alumni coordinators Reena Aggarwal and Manoj Kumar Sharma. In total 33 alumni showed up for the meet. During the meet all the alumni shared their experience of the corporate life and how to tackle tough times in the corporate world. And of course, they were nostalgic about how much they miss college days, hostel life, friends, teachers and everything of the two years that they spend in Army Institute of Management, Kolkata. Nobody is bothered more about the institute than its alumni. All the alumni explained what need to be done to improve skills of the students. What sort of certification courses are required to make students more employable. Everything went smoothly. Meet was followed by starters, drinks and then by dinner and in between the thing that is necessary i.e. photos were captured to have the memories of this gettogether in the pocket. It was a remarkable evening completing both the aspects that is maintaining strong bond with the alumni and future placements. 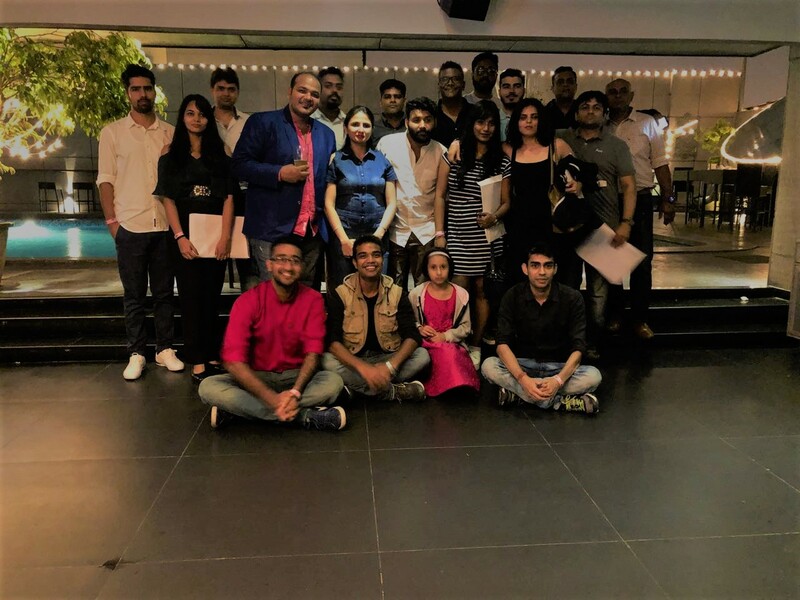 Alumni were welcomed back to Bangalore Brew Works for the Alumni Meet on Saturday 09 June.The Alumni Meet took place for the Batches from MBA 1 to MBA 19 who were celebrating five, thirteen and Eighteen years since graduating from the AIMK. We were delighted that this year’s Alumni Meet had the good turn out, with over 27 alumni and guests in attendance. There were alumni from as far as Australia and all places from Bangalore who came especially to celebrate their anniversary year and reunion.The evening was very special, not only did the weather stay fine, but also the aura of the place and the air surrounding the terrace was cool with ear soothing music which made Informal meeting with the Alumni very memorable. We had long conversations regarding different company prospects and career opportunities, growth and development of any Business also about their family and responsibilities.The alumni shared their experience as well as interesting moments of campus life and also discussed the tradition which is followed by the upcoming batches including us .We danced and showed our dancing moves along with senior and super senior although not knowing even the D in Dance. We enjoyed the drinks that were served the starters , the snacks served and the delicious dinner with finger licking Walnut Pastries and juicy Gulab Jamuns.It was a remarkable evening completing both the aspect of meeting that is the Placement of Upcoming batch and the reunion of Alumni building strong network and relation between the past , present and Future of AIMK students. We are thankful to our Director Sir, AO sir and faculty members who allowed us to be the part of this successful event. On 9 Dec 2017, an Alumni meet was conducted by Army Institute of Management Kolkata at the Ordinance Depot club. 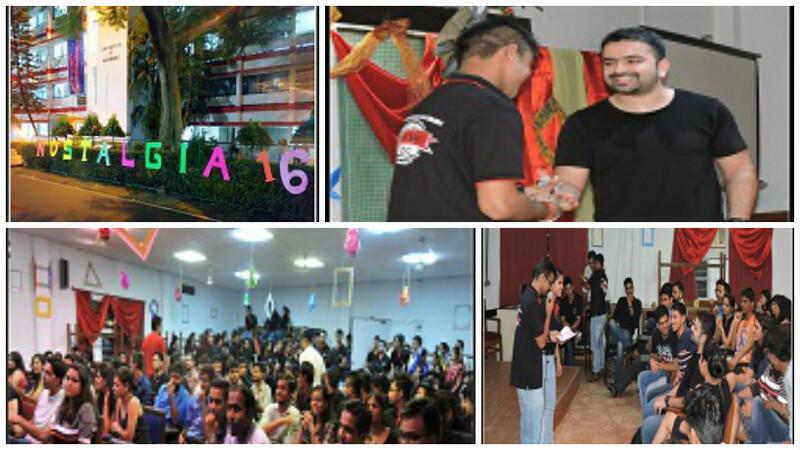 In Kolkata it is for the first time that the Alumni meet was conducted outside the institute campus. All the NIMC/AIMK Alumni in and around Kolkata were invited to this meet. In this meet along with the student coordinators were the Director, Registrar, Faculty alumni coordinators and the placement officer. The agenda of this meet was to meet up with the alumni, get to know them, learn from their experience and workout the possibility to get companies to the institute for internships and final placements. All the alumni who participated in this meet were very happy to meet up with their batch mates and juniors. They assured to support the institute in every possible manner and also agreed to give their best in making the next alumni meet Grand. The Director and the Registrar thanked and congratulated the student and faculty team for all their efforts in making this event possible. AIMK has a very strong network of 2000 plus alumnus and every year this bond is celebrated with a get-together under the banner of “Nostalgia”. This year Nostalgia was celebrated on 16th September 2017. In this the theme was black and white which represents our Institute uniform, the college was decorate with black and white balloons. Alumnus from all across the country and few alumni who flew from other parts of the world came to make this event a great success. Also the hard work done by the current students of AIMK resulted in a really great event. This was a one day event which started with a basketball match between super seniors and the current batch which was followed by a cricket match. The cultural event started at 3:30 pm and continued till 6:00pm. After which an interaction session was organised where the senior alumni shared their experiences and answered to the doubts students had. .This session not only helped the students get the clarity about the placements and corporate life but also how to become a good human being. Then the alumni were invited to the dance floor where they were stunned by the flash-mob. The event came to an end with gala dinner. All the alumni had a great time and they assured to return next year. 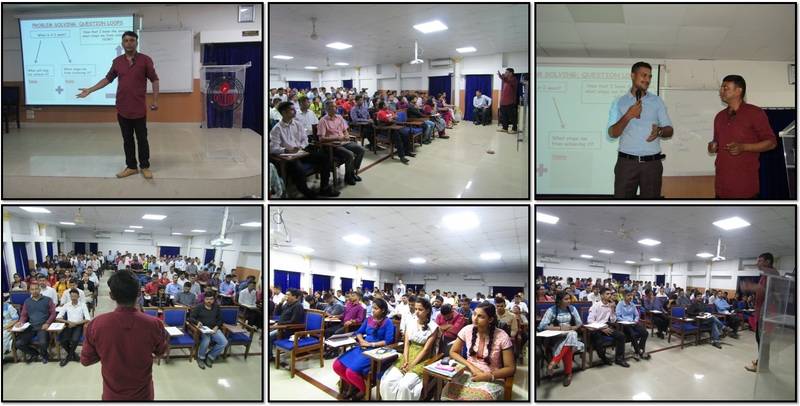 An alumni meet was conducted by AIM , Kolkata on 17th September,2016.The entire event lasted for 2 Hours. The focus was to encourage the existing students to interact with the alumni and also organise a cultural event for them. It included students of AIM, Kolkata participating and making the event successful. The emphasises was on making all the students of the AIMK feel like a family. Alumni of AIMK from all over India as well as the world (From top level managers to entrepreneurs') meet at AIMK Campus to interact with present AIMK students and guide them on the topic of "Meeting the Gap of Industry & Academia”.Industry experts from big brands like Idea Cellular, Flipkart, Aditya Birla Group and many International brands were present in the meet. There was a positive response from the alumnus. They were happy with the changes and progress of the college. The Alumni Meet offers everyone the opportunity to do some effective networking. There were different games which the alumni played and relived their youth. They showed interest in mentoring the students and helping the college with placements. Since the participation of the older batches was less so, Shantanu Oberoi (MBA-3) volunteered to rope them in to them get connected with the college and help us in anyway possible. All the alumnus in Bangalore have been called and invited .A special messaging service has been used to send all the alumnus reminder sms’. There are different games and karaoke which has been planned for the event and the winners will be given special AIMK souvenirs as a token of remembrance.